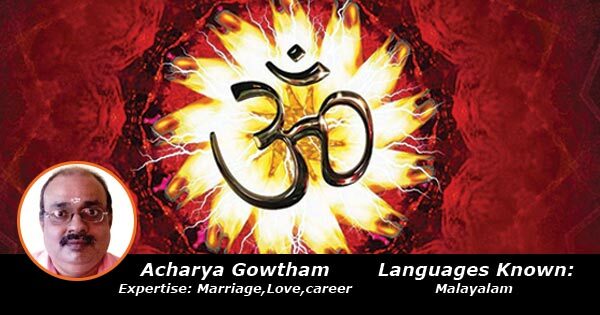 Mr. Gowtham is a well known Astrologer in his locality. He studied Astrology from Gurukulam Mahadevan Iyer, Alleppey, before completing his one year course in CARD Jothishalayam. He has been practicing Astrology for the past 15 years and is one of the leading Astrologers in our panel of expert Astrologers. He has given accurate predictions to thousands of people through online telephonic consultation.